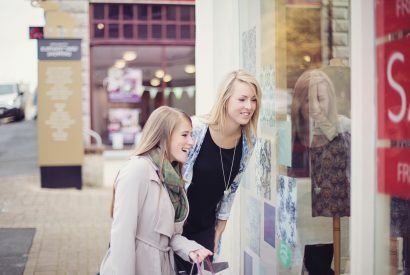 An award-winning, custom-designed shopping area in the heart of Kendal. Wainwright’s Yard offers an eclectic collection of fashion, home and lifestyle shops, cafes, eateries and a cocktail bar. Wainwright’s Yard has been named in memory of the famous fell walker and author Alfred Wainwright and selected pages from Wainwright’s famous walking guides are cleverly displayed on slate slabs in the public square. With handy parking at Booths, Wainwright’s Yard is the perfect base for a leisurely retail. Armstrong Ward – spread over two exciting floors, with quality British furniture, home furnishings and a vibrant array of traditional and quirky children’s toys, Armstrong Ward is the perfect place to find treats for your home and gifts for loved ones. Discover delicious homemade cake in the Armstrong Ward Cafe. Slate Bar & Cafe – Loved by locals and visitors alike, Slate Bar specialise in delicious cocktails and sharing plates. New for 2018, Pomegranate and Sage and specialising in healthy, homemade and colourful cuisine, Pomegranate and Sage is a must-visit for any foodies. 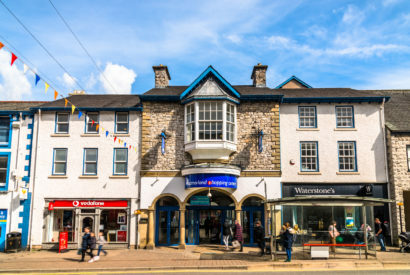 Booths in Kendal is the perfect place to stock up on local produce – with a specialist food store, fish counter, deli counter, meat counter, hot food counter and Artisan cafe on offer. Crew Clothing focus on providing fashion with a timeless, classic design. 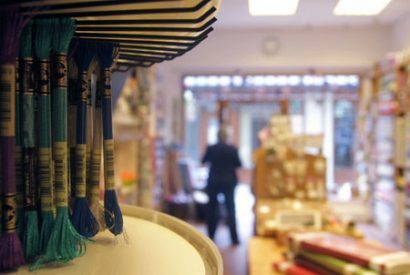 La Maison, a beautiful lifestyle store over-flowing with ideas for your home and unique gifts. Including their signature range of handcrafted solid oak furniture. Maya Maya is the perfect place to refresh your wardrobe and indulge in a little ‘me time’. Maya Maya stock a great range in luxurious clothes, accessories and hosiery. Kendal’s branch of this much-loved national chain, a vibrant restaurant and the perfect place for freshly pizza with friends.